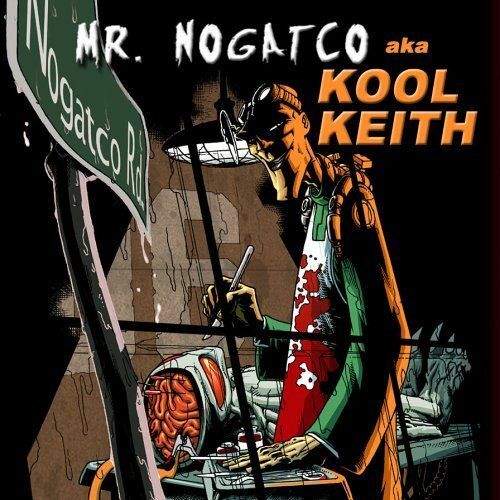 Kool Keith is back with his latest alter ego: Mr. Nogatco on his new release Nogatco Rd. (Dr. Octogon spelled backwards). Keith has a had an up and down career, but he is always inventive and original. You can guarantee he is going to push in new and different directions. Nogatco Rd. is spattered with rock and electro beats and strong hip-hop production. It was produced by Iz-Real (of the MF Doom aka Viktor Vaughn release Venomous Villain). Kool Keith's MySpace. Dr. Octagon will play The Vogue this Saturday, August 12th as part of Midwest Music Summit! Mudkids & Twilight Sentinels will open the show.